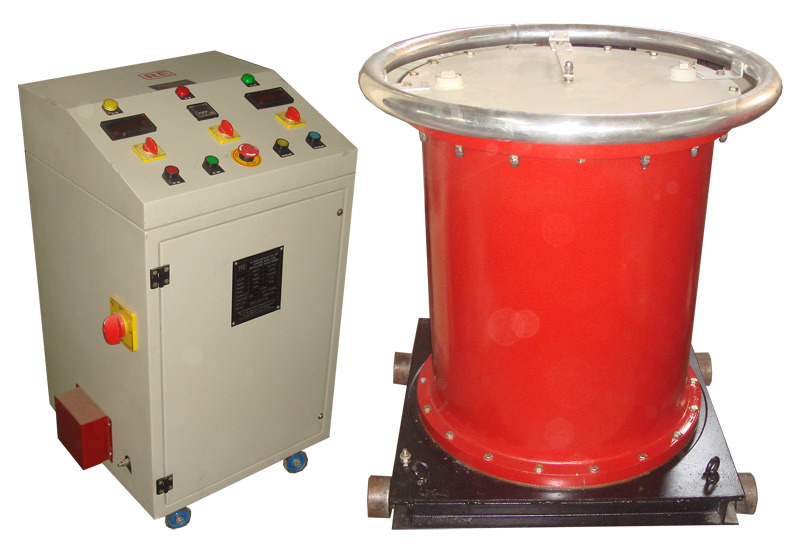 AC High Voltage Low capacity testers are specially designed for testing Insulators , CT’s PT’s , Low dielectric capacitive electrical equipment, transformers etc. as per National and International Standards. 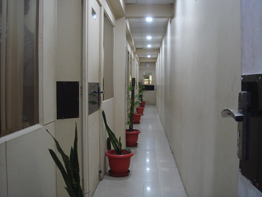 During manufacturing each unit is tested at multiple stages, thus ensuring consistency and best quality. 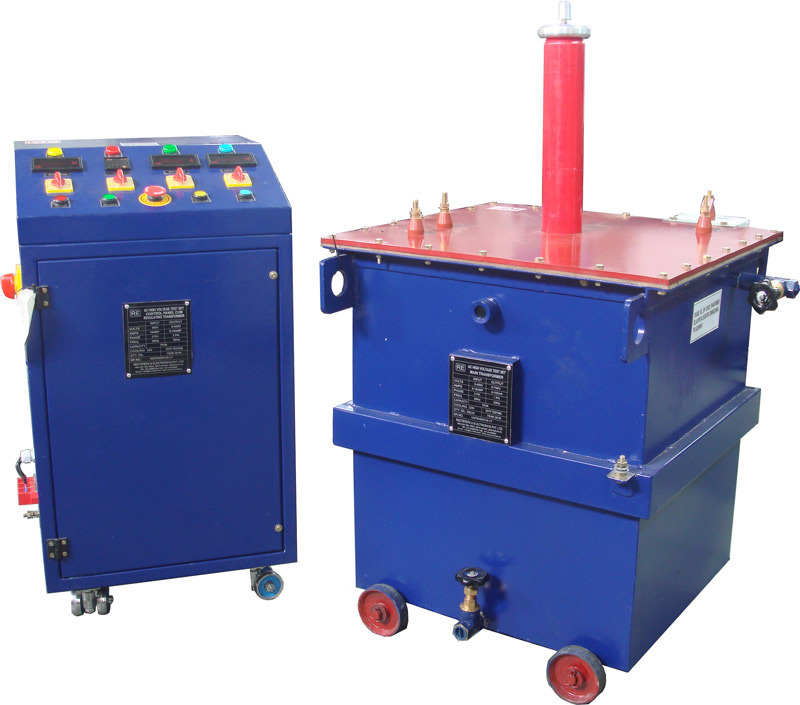 These instruments are air cooled, oil cooled or air & oil cooled combined as per design. 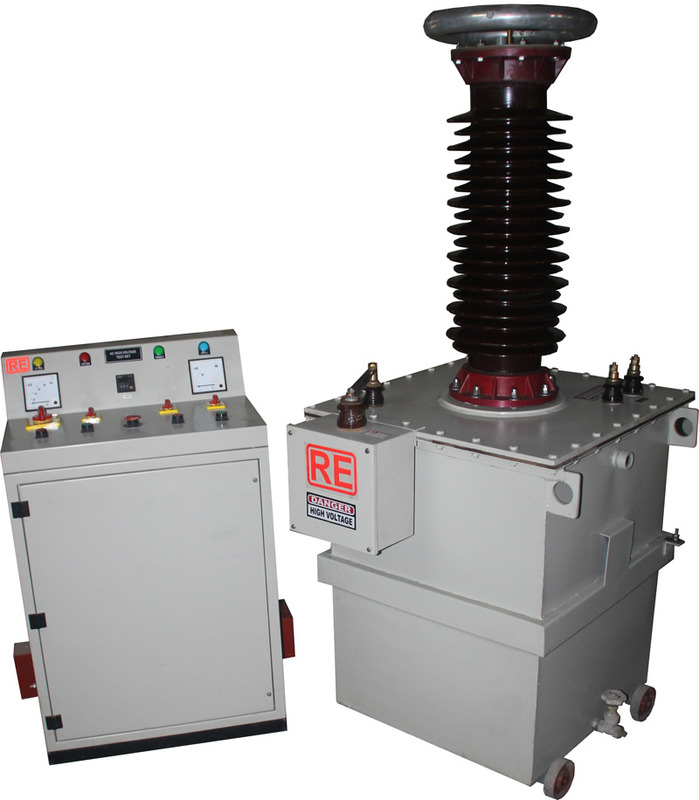 The units have been manufactured up to 800kV and up to 200kVA.The units have type of tests such as dry withstand, wet withstand, breakdown voltage in air/oil, oil insulation, and pollution Test.